As a musician, your hearing is the sense you likely most enjoy, and it is also the foundation of your livelihood. Our Audiologist is very sensitive to this. She will consult with you about your acoustic environments and protection needs as a musician/performer. We recommend which device is the best for your listening and playing environment – as there are many options available. In-ear monitors (IEMs) are devices used by musicians, sound engineers and audiophiles for studio mixing, live performances or to listen to music. They are typically custom-fit for an individual’s ears and provide a high level of noise reduction while maintaining fidelity and comfort. 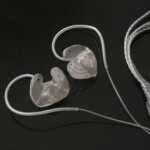 There are many options available, and it is important to select the right IEM to meet your needs. The Musicians high fidelity earplugs were developed specifically for musicians and audio engineers to protect their hearing from unsafe sound levels. They are different from the typical over-the-counter foam earplugs because they are fit specifically to your ears shape/size and have a specially designed filter that reduces sound equally across frequencies. This allows for clear and unmuffled sound quality. Musicians Earplugs are recommended for musicians of all types and recreational concert attendees. The Musicians ER Series filters are available in three different decibel (dB) reduction levels and are interchangeable for differing acoustic environments. Custom sleeves allow for long-term comfort and provide a deeper, tighter seal for improved sound isolation and sound quality. A custom earpiece allows for an improved seal, sound quality and cosmetics. The ear impression is used to make the musicians earpiece or earplug and is the most critical part of the process in making an effective device. The fit and comfort depend on the accuracy of the technique as well as the impression material used. 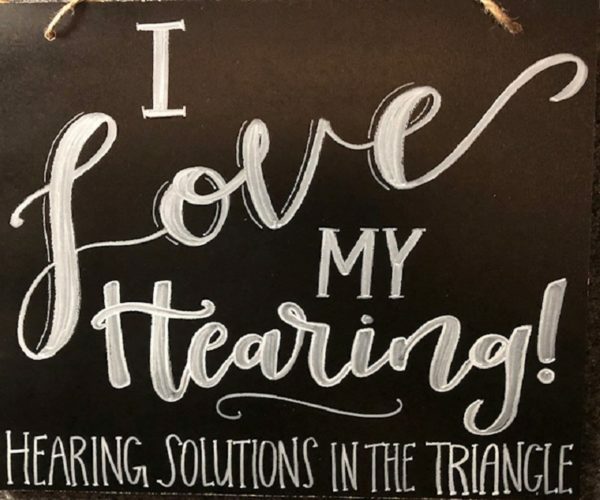 Our Audiologist at Hearing Solutions in the Triangle is trained to take the perfect impression – with safety and comfort in mind. The musician is often asked to bring in his/her mouthpiece of their instrument to mimic their performance position of their jaw/mouth. Contact us today to schedule your appoint with Dr. Anita Carroll.